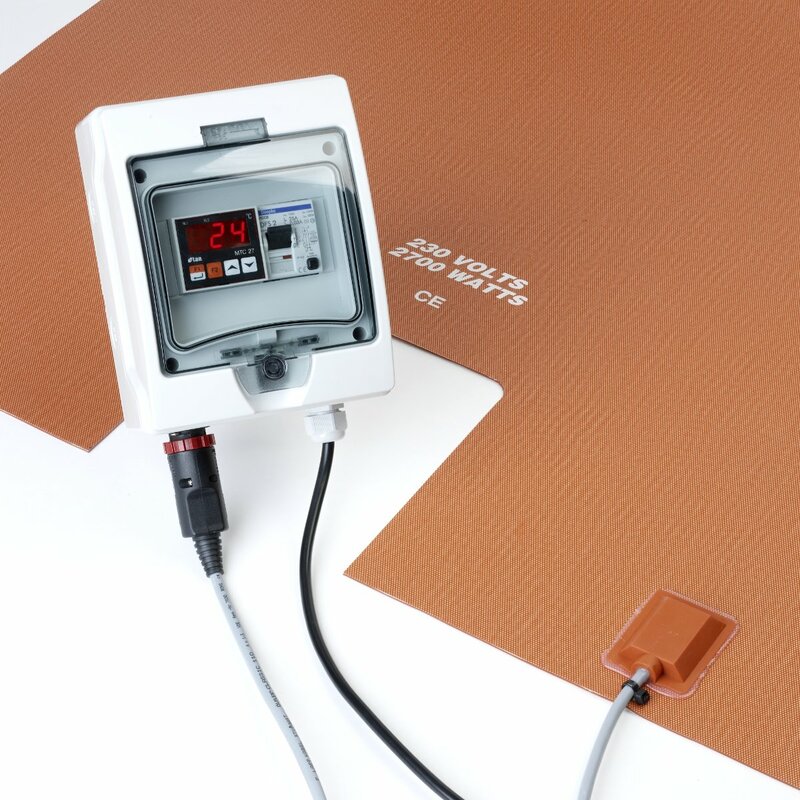 In applications where more power is needed, and you need products set at a higher desired temperature, the dual zone IBC heating system is ideal. Tote heaters are often used outside or in un-heated locations and if 120 volt, 15 amp power is all that is available, then your tote heater will be limited to in power to 1800 watts. 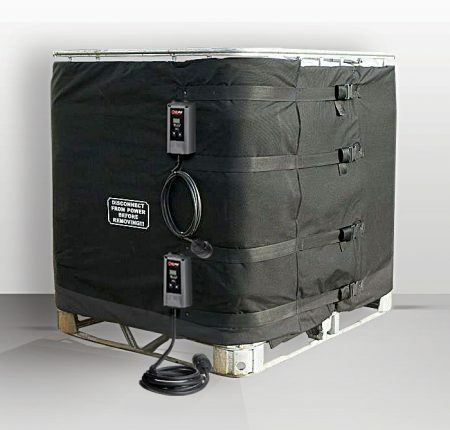 Unlike your typical IBC heater, the dual zone tote heater blanket has two 1,800 watt heaters inside (top & bottom), which allows it to use 3,600 watts for power. 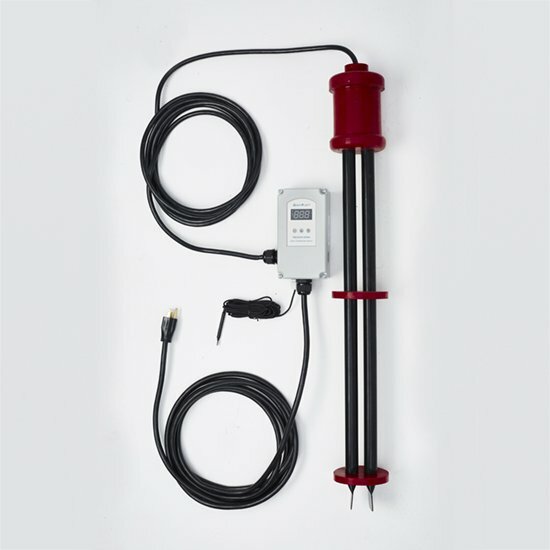 Each heat zone (the top & bottom) in this dual zone IBC heating system has its own temperature controller and power cord. So if you only need to use 1,800 watts, it’s still possible. 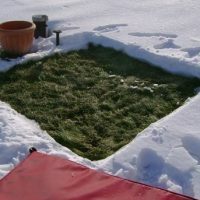 All you need to do is turn the power off for one of the heating zones. 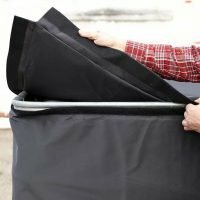 Since this tote heater blanket is used for additional power, we recommend using an insulating lid to help retain the heat. If a rapid heat up is required or solid materials are involved requiring higher power input, you should use the heavy-duty insulation option as well.